The tumbling prices of solar technology has helped to kick-start the clean energy revolution, but it’s not the silver bullet to solving climate change. Jatin Nathwani from the University of Waterloo explains why. Recent reports that solar capacity will soon exceed nuclear capacity reveal an important fact. It also hides a crucial distinction needed to understand the context of energy production, and use and consequences of choices among supply options for the future. Capacity installed in kilowatts (kW) is not equal to energy produced in kilowatt hours (kWh)—and the energy services we demand and pay for (such as cooking, cooling, lighting, entertainment) is measured in kilowatt hours. For large-scale, industrial purposes, output is measured in megawatt hours (MWh) or gigawatt hours (GWh). So, for the same installed capacity, solar energy produced is eight to nine times less than nuclear. If you want the same amount of energy, then you would need to install an equivalent solar capacity that is higher by as large a margin—eight to nine times the number of additional solar arrays. You don’t want to get conscripted to the view that one energy option—solar—is the sole answer, and it also happens to be an option that does not deliver large volumes of energy from the installed base. Why is this relevant? The urgency for implementing effective low-carbon energy solutions is all but fully acknowledged and recognised by all the countries of the world (except the current US administration). The hype [around solar energy] needs to be tempered by a realistic assessment of the emerging energy demand at the global level and the effective capability of meeting growth in energy demand on a very large scale. Distributed energy resources—best exemplified by solar as Exhibit A—combined with the power of information and communication technologies (ICT) will increasingly become relevant in our lives. 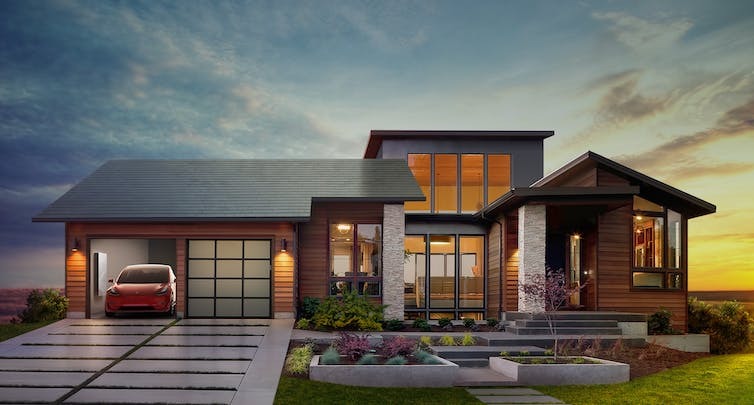 Technology entrepreneur Elon Musk’s company, Tesla Inc, is working to make that vision a reality today with its electric cars, solar-cell roof tiles, home energy storage, and networked, grid-connected battery systems currently being installed in Australia. Will distributed energy become truly disruptive and completely undermine both the business model of the existing utilities and the investments in the large centralised infrastructure? In my view, distributed energy resources can be best recognised as a positive force that will help reinforce and increase the reliability and resilience of the “big grid.” They also bring an environmental emissions attribute that helps to amplify a positive trend towards a low carbon energy future. Why do we need large, centralised generating stations at all? The global energy demand to 2050 will either double from current levels or triple. This is primarily driven by demographics and income shifts. The world’s population is forecast to approach nine billion people in 2050—with many to shift in income from extreme poverty to low- and middle-income levels—which means an inexorable upward pressure on need for energy. A warming climate is another driver of growth in energy demand for cooling. Improved economic well-being combined with an irreversible shift towards intense urbanisation creates a scenario that is difficult to deflect: We are faced with an emerging global context that is shaped by a critical dependence on high-quality energy services to a growing, richer population that faces more thermal stress than ever before. Jatin Nathwani is Professor and Ontario Research Chair in Public Policy for Sustainable Energy, Faculty of Engineering, Faculty of Environment at University of Waterloo. This article was originally published on The Conversation.